Delta Air Lines is adding 10 Airbus 330-900neo aircraft to its fleet under an agreement with Airbus and Rolls-Royce, expanding its order of the next-generation widebody jet from 25 to 35. The first delivery of the state-of-the-art aircraft, which is powered by next-generation and fuel-efficient engine technology, is expected next year. These changes are consistent with Delta’s long-term philosophy of investing 50 percent of operating cash flow back into the business, West said. 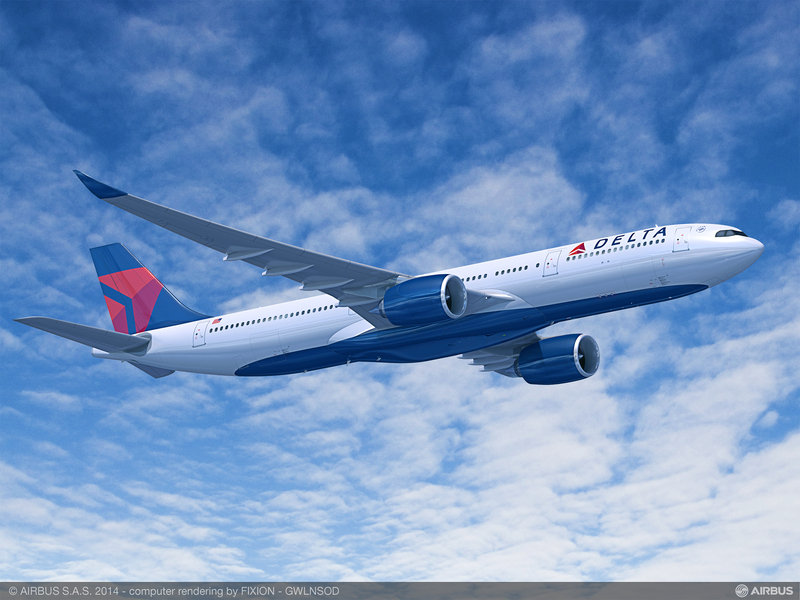 Delta will be the first U.S. airline to operate the next-generation A330-900neo, which will offer the latest in innovative design and technology for customers. It will be the first new aircraft delivery to feature all cabins – Delta One suites, Delta Premium Select, Delta Comfort+ and Main Cabin. The jet also will be the first Delta aircraft delivery to feature memory foam cushions throughout the aircraft for hours of comfort, and the first Delta widebody aircraft featuring its new wireless in-flight entertainment system in every seat. Simultaneously, Delta has agreed to terms with Airbus to reduce its near-term A350-900 purchase commitment to a total of 15 aircraft from 25. The 10 previously on order A350 aircraft have been deferred to 2025-26 with certain flexibility rights including the right to convert these orders to A330-900s. Delta currently operates 11 A350-900 aircraft and expects to take delivery of two A350s in 2019 and two in 2020. In addition, Delta plans to retire older Boeing 767-300ERs in the years ahead as the aircraft reach the end of their serviceable life cycle.